Progression of watercolors by adult student, Arlene. Get your art muscles turned on each week while you think, create, and at times find mindfulness. 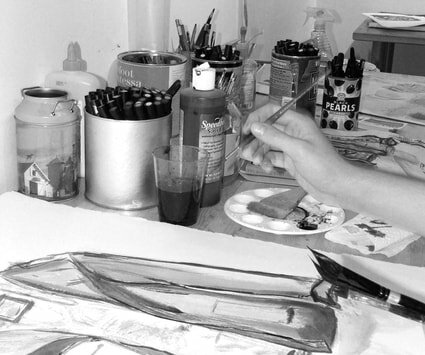 Using watercolor as our starting medium, you'll be guided through basic painting and drawing processes that include perception, values, contrast, and paint handling, while more advanced students will develop a direction in their work, honing media and exploring composition and subject matter. Other media is welcome per approval of instructor. Class held at OH CANARY STUDIO. Students provide supplies. At times Jennie will surprise students with samples and trial supplies. A supply list is provided upon registration. NEW this Semester - 4 or 8 Week Flex sessions. You choose the classes that fit your schedule. Classes must be used within the scheduled semester. I've decided to take a break this winter from my Tuesday afternoon Tween, Wednesday night adult and Saturday afternoon teen classes. A family emergency in December has made me prioritize my family time and reconfigure my schedule. 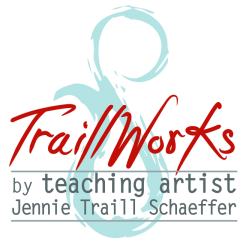 If you are looking for art lesson referrals or interested in private classes, please contact me and I will see if I can accommodate you. I thank all who have studied with me from the area since starting my lessons in West Orange in 2014. I have been blessed with amazing students and their families, and hope that this is just a pause. Use Coupon Code: NEWSTUDENT at checkout.